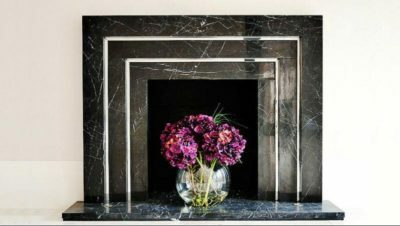 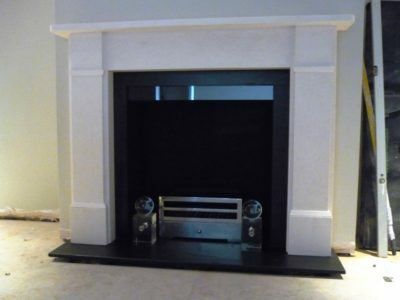 Marble Fireplace Installation in Wentworth Property This black marble fireplace is one of the four stunning fireplaces we installed in this house in Wentworth. 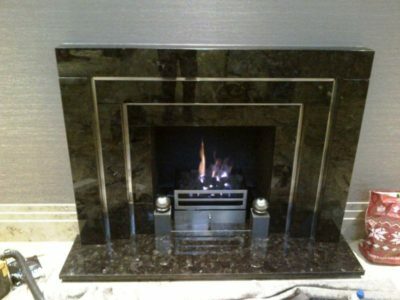 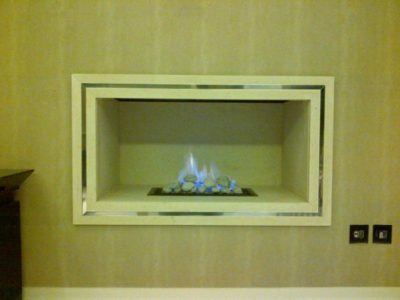 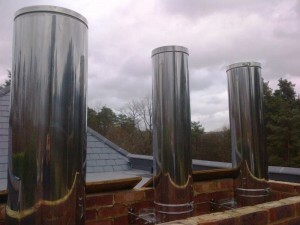 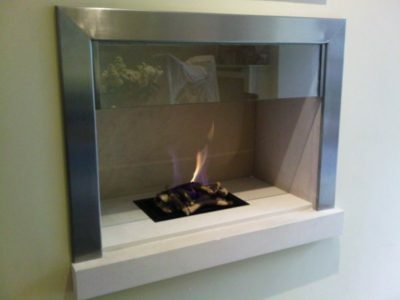 It is a beautifully designed fireplace with contemporary brass metal inlays. 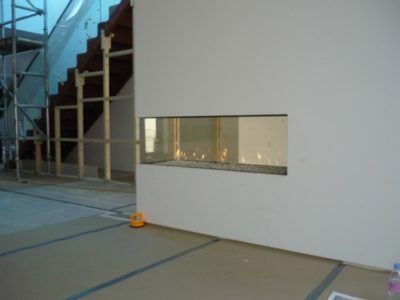 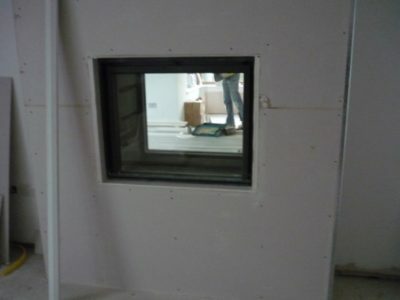 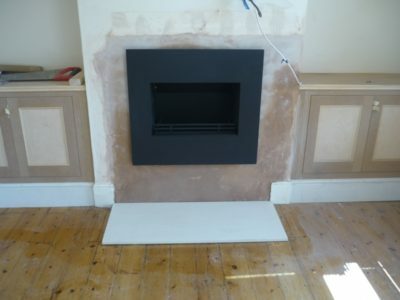 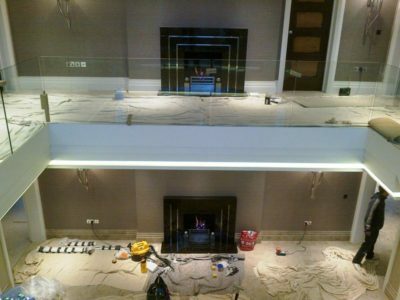 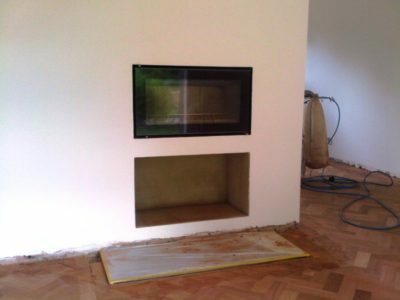 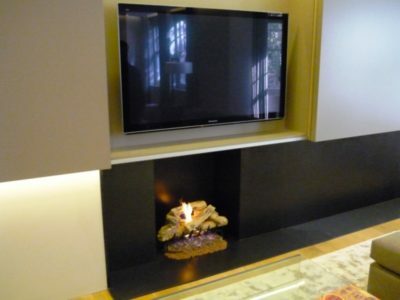 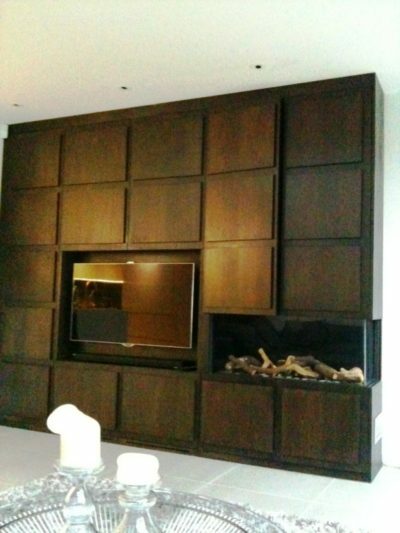 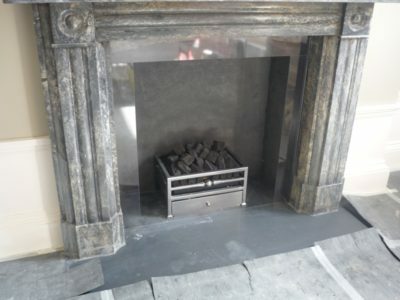 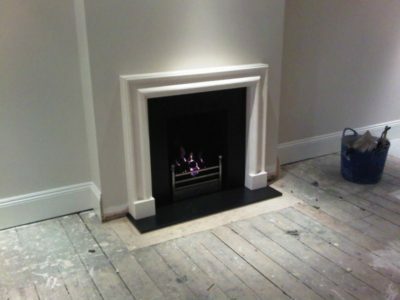 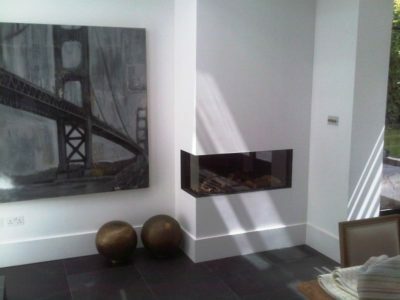 Gazco Studio 2 Installation in Chiswick This was another successful installation for the developer, Hamilton King. 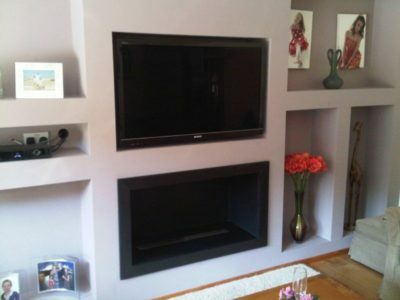 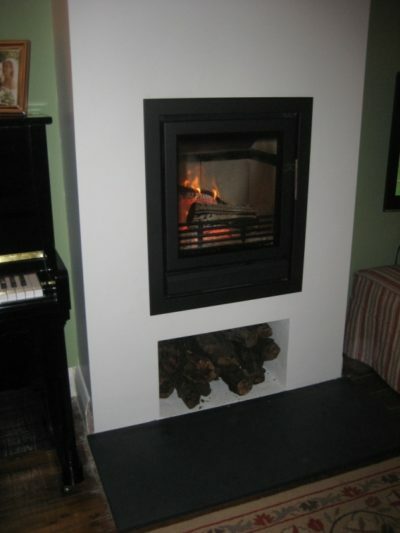 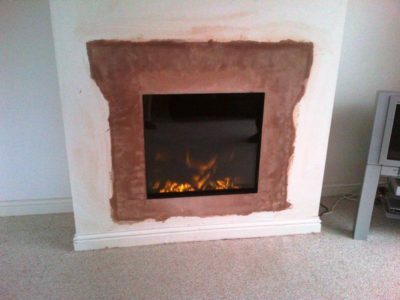 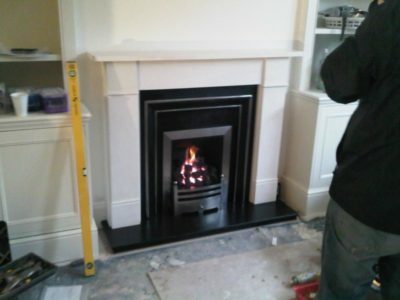 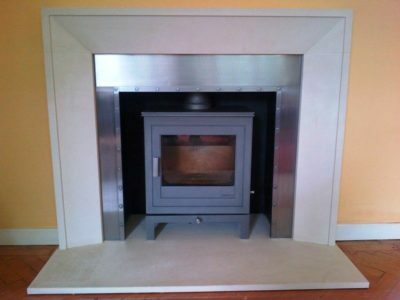 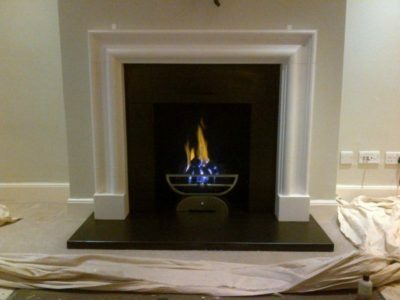 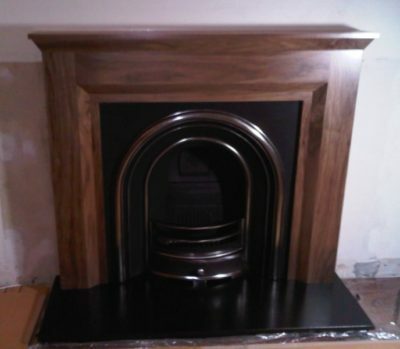 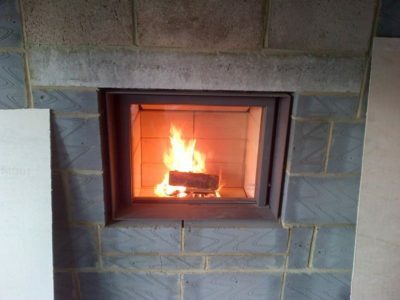 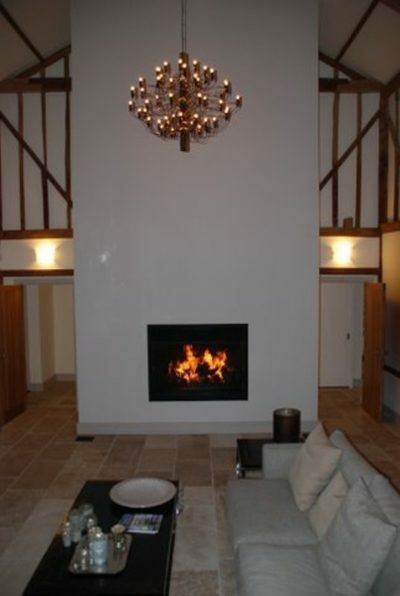 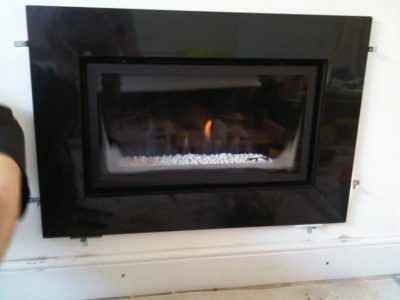 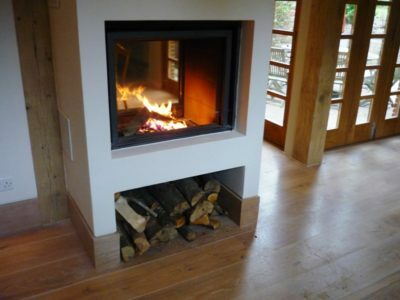 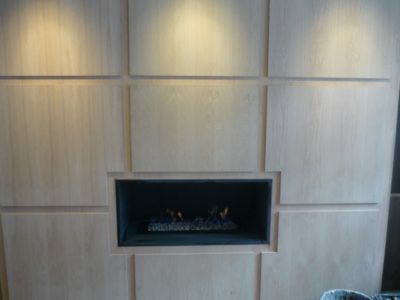 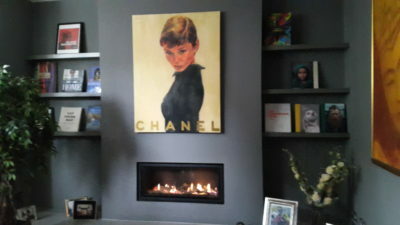 We installed two fireplaces in their client's property; a wood burning stove and this Gazco Studio 2 gas fire. 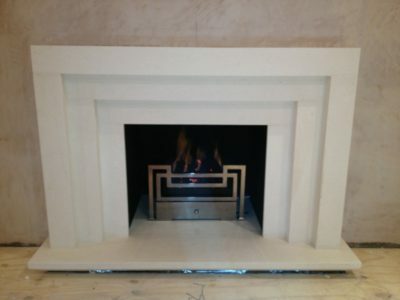 Limestone Bolection Frame by Chesney's Qualitas Construction came to us to commission a new fireplace installation for one of their projects. 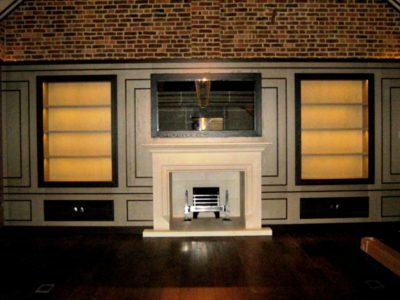 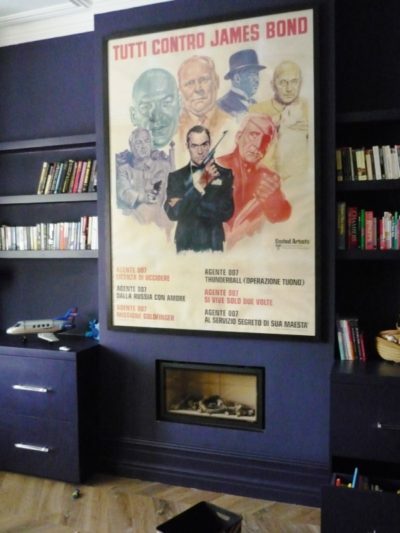 Their client based in Wandsworth, London, wanted a simple limestone Bolection frame from Chesney's. 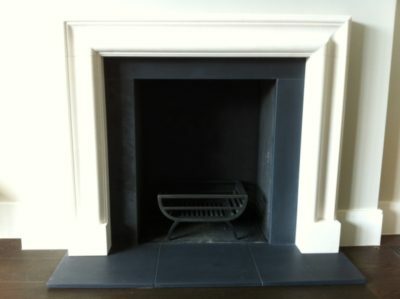 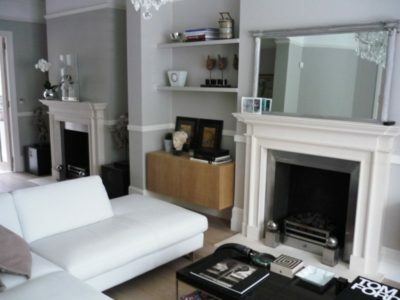 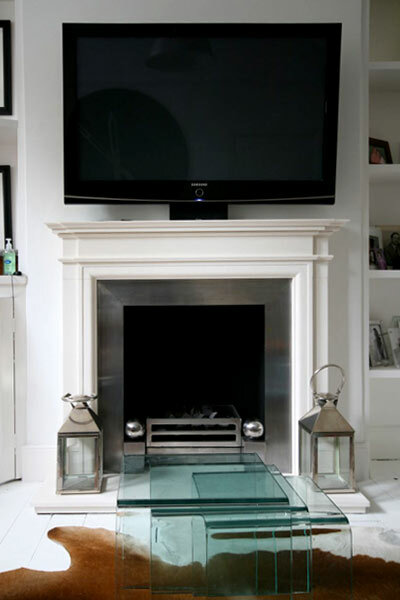 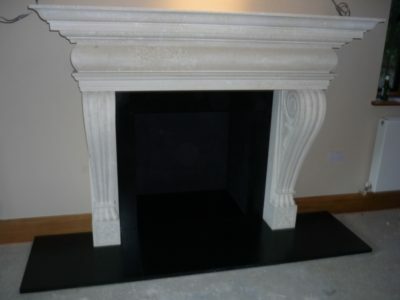 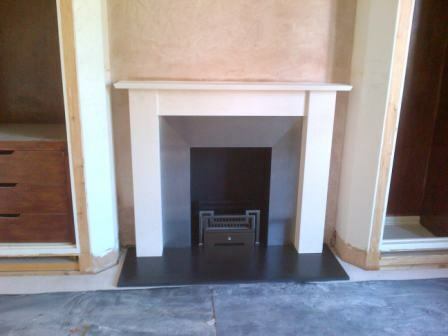 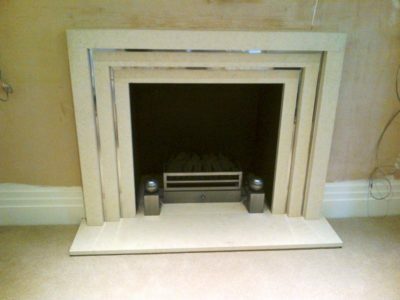 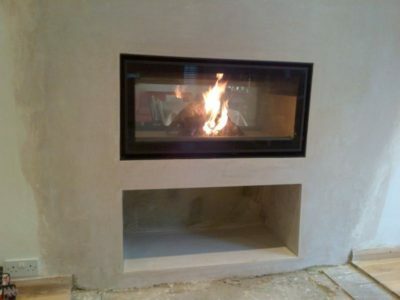 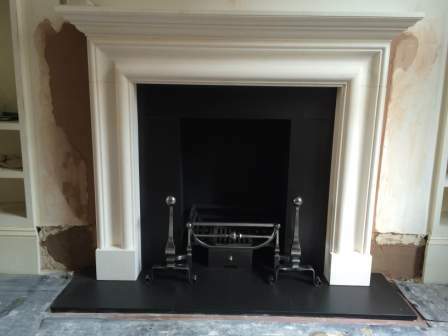 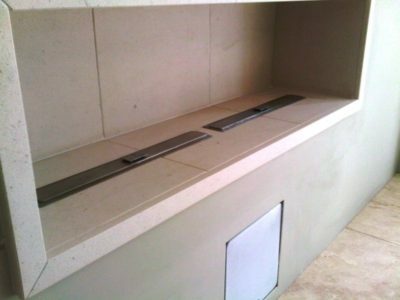 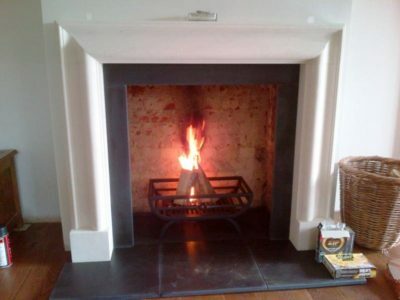 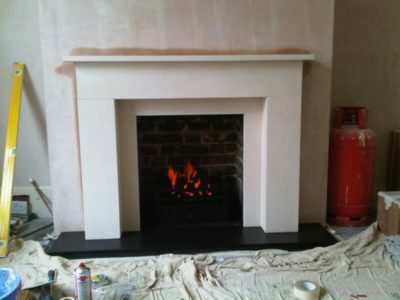 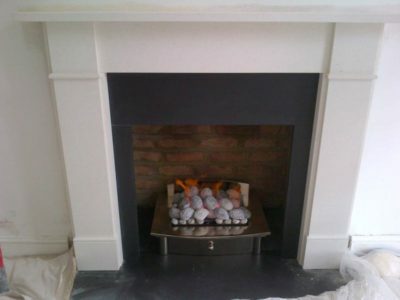 Modena Limestone Fireplace in Putney, London. 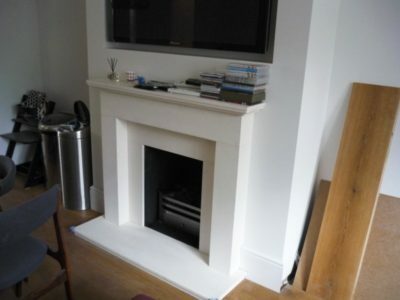 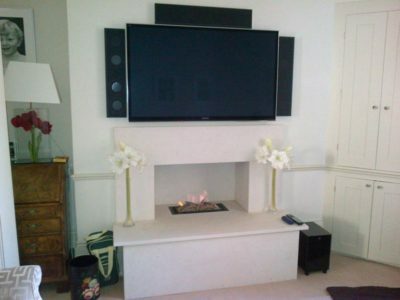 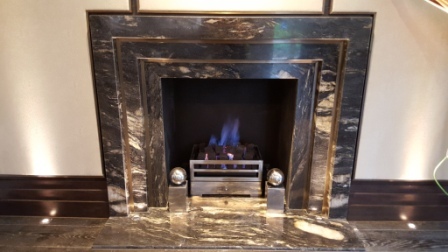 Modena Limestone Fireplace with Electric Fire in Elan Basket The mother of a previous client contacted The Billington Partnership to discuss changing her fireplace and electric fire for a more appropriate one in her beautiful London house. 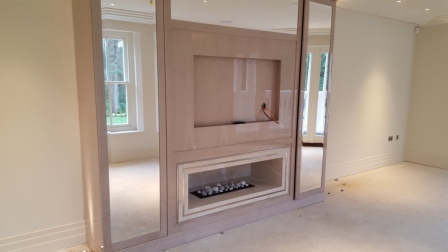 Large Limestone Fireplace Installation in Surrey This large fireplace installation in Surrey was one of the most satisfying projects The Billington Partnership worked on. 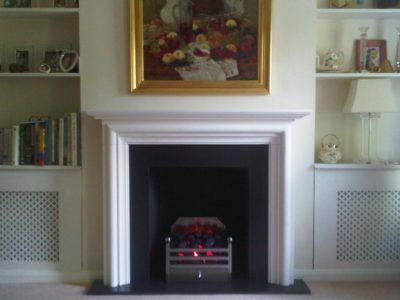 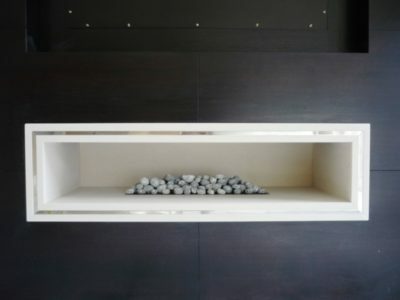 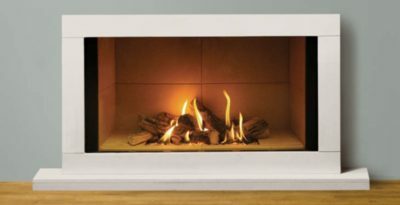 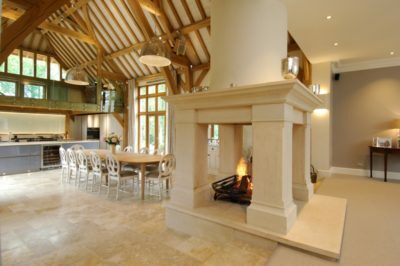 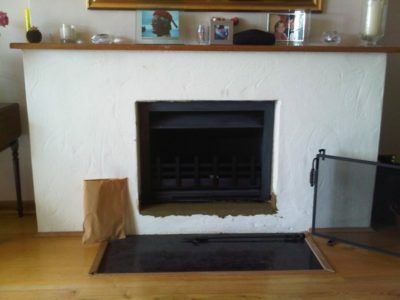 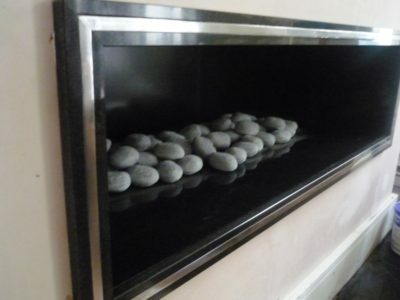 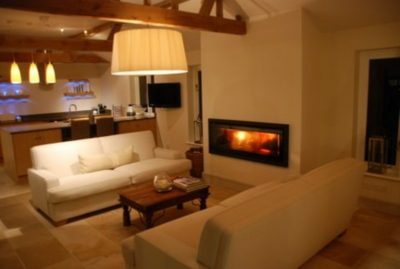 Choosing a fireplace can be a sometimes daunting and difficult task.